The mission of The Afghan Institute for Learning (AIL) is to provide education, training and health services to vulnerable Afghans in order to foster self-reliance, critical thinking skills, and community participation throughout Afghanistan and Pakistan. 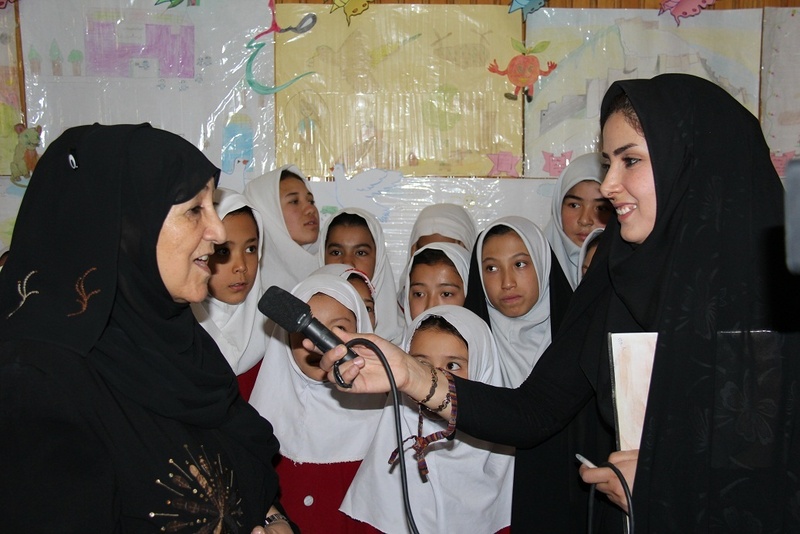 2018: Channel made a grant to the Afghan Institute for Learning (AIL) (through the fiscal sponsorship of Creating Hope International) to support the organization of leadership workshops and to continue running their Women Defenders Project via the AIL Legal Clinic in Herat, Afghanistan which provides free legal support for poor women. AIL’s leadership workshop is the core training for women and youth in human rights and leadership. 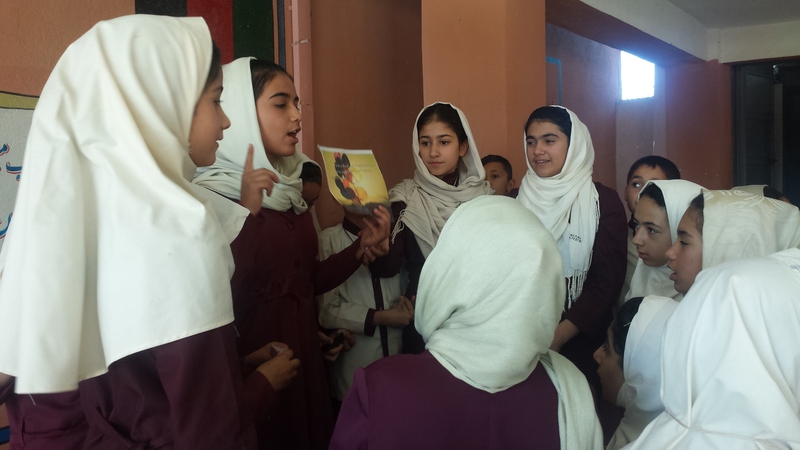 Using participatory methodologies, AIL’s workshops encourage Afghan women and youth to realize the power they have to become leaders within their families, workplace and community. 2016: Channel made a grant to the AIL to support their Leadership Workshops and their Women Defenders Project via the AIL Legal Clinic in Herat, Afghanistan. 2015: Channel made a grant to AIL (through the fiscal sponsorship of Creating Hope International) to support two leadership workshops for 70 women, and their Women Defenders Project which provides free legal support for poor women. In addition to advising and defending women in court cases, the project’s lawyers will also inform women of their rights via Radio Meraj. 2014: Channel made a grant to AIL (through the fiscal sponsorship of Creating Hope International) to support two leadership workshops for 80 women, one elections workshop to prepare 100 women for provincial elections in 2015, and its second Women’s Networking Conference for 140 participants. 2013: Channel made a grant to AIL (through the fiscal sponsorship of Creating Hope International) to support two Women’s Leadership Workshops for around 70 women to take place in several provinces of Afghanistan in 2014. 2010, 2011, 2012: Channel made grants to AIL (through the fiscal sponsorship of Creating Hope International (CHI)) to support AIL’s Human Rights and Leadership Training programs in Afghanistan. Under Sakena Yacoobi’s leadership, AIL’s Human Rights and Leadership Workshops have trained thousands of women and men to advocate for their basic human rights and to develop leadership skills. Not only do these trainings help to develop skills in communication and in the prevention of gender-based violence, they can also empower the women to participate in local, regional and global decisions. AIL created a series of Peacebuilding Workshops at the request of participants in the leadership workshops, focusing on what participants can do to build peace and nonviolence in their communities. 2017: In May 2017, AIL’s private radio station, Radio Meraj won the top awards in the 3 categories it entered at the Zonal Best Media event (Afghanistan Institute for Research and Studies) competing against 161 media outlets. Radio Meraj broadcasts 20 hours a day to 9 out of 15 districts of Herat Province. Meraj means “reaching for the highest good.” Meraj won best news package, best analysis and speakers and best innovative programming. 2015: Dr. Sakena Yacoobi won the 2015 WISE Prize for Education, the first distinction of its kind to recognize an individual or a team of up to six people for an outstanding, world-class contribution to education. The WISE Prize for Education Laureates are “inspiring role models for all those concerned with building the future of education as the foundation for a more secure, prosperous, and sustainable world.” The Prize was established in 2011 by Her Highness Sheikha Moza bint Nasser. 2013: Dr. Sakena Yacoobi, AIL’s Founder and Director, won three awards for her outstanding work with the organization: the 2013 Opus Prize which honors unsung heroes of any faith tradition with a $1 million award for efforts to solve today’s most persistent and pressing global issues, including poverty, illiteracy, hunger, disease, and injustice; the Pioneer Award, presented to celebrate the impact individuals can have in making social change happen across the world at Good Deals 13, a conference focused on social investing and entrepreneurship; and the Global Generation Award which celebrates campus activism and honors global leaders who champion sustainable international development.